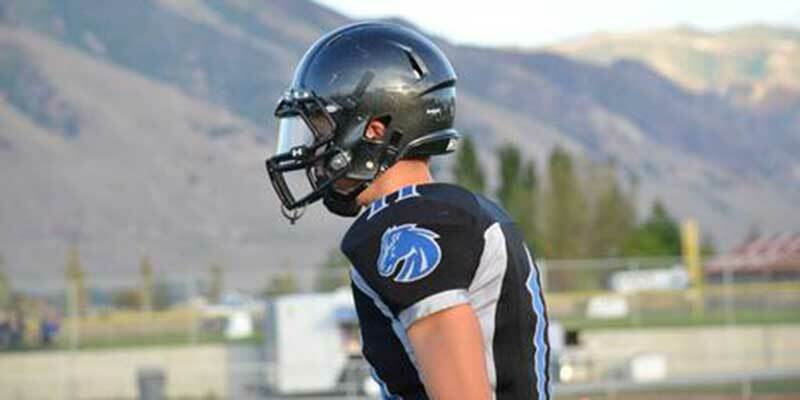 Zayne Anderson is a 6’3” 195 pound safety BYU football commit (Class of 2015). He was originally committed to Utah State University, but flipped his commitment on National letter of intent day to the Cougs. He is projected as #4 free safety for the 2015 season and has planned to depart on an LDS mission following the season. Anderson prepped at Stansbury High School, where he as a sophomore he had 53 tackles and four interceptions and was was an All-State honorable mention. As a junior he had 13 carries for 167 yards and four touchdowns as well as 61 tackles and an interceptions. He was named to the All-Region 11 first-team as well as the 3AA all-state second team. In an injury laden senior season where he only played in seven games he still managed 148 yards rushing and five touchdowns, 31 tackles, one sack and an interception. He was once again named to the 3AA North All-Region 11 First team and the All-State second team. For his career he had 147 tackles, six interceptions, and a sack. He also had 10 receptions for 142 yards and 59 carries for 442 yards and nine touchdowns. He also played on the basketball team and was a star for the track team, recording career bests: 10.61 100m, 22.06 200m, 51.95 400m, and 19’4.5” long jump. 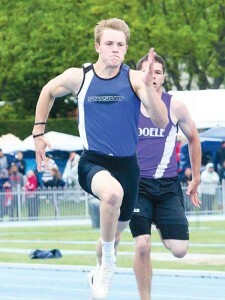 As a senior he won the Class 3AA state titles in the 100m, the 200m, the medley relay, and the 4x100m relay. Anderson was rated 2-stars by Rivals and 3-stars by Scout and ESPN (grade of 70). Scout ranked him the No. 1 safety in Utah and No. 15 in the west. 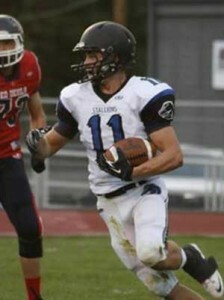 Anderson held scholarship offers from BYU, and Utah State. He was also recruited by Boise State, Missouri, Nevada, Oregon, SDSU, Stanford, Utah, Washington, and Washington State. 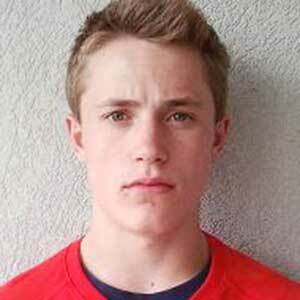 He committed to the Cougars on February 4, 2015. Last Team: Stansbury HT/WT: 6’3”, 195 lbs. Profiles: MaxPreps, HUDL Bench/Squat: 235/375 lbs.